I am proud to introduce you to 17856 Robin View Ct. Full disclosure here: this house is just South of the Lake Oswego city limits and is actually located in West Linn. However, it is waterfront property and I do believe a person shopping for a house on the water in Lake Oswego would also likely look at this property. This is a truly special house. Designed by Walter Gordon, it was built in 1956. Walter Gordon was a well-known Northwest Architect who at one time was the Director of the Portland Art Museum as well as the Dean of the School of Architecture at U of O. 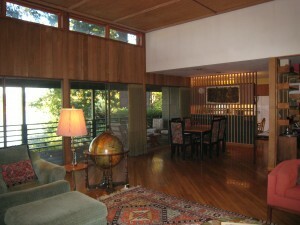 The current owner has respected the significance of the original design and the architectural integrity remains intact. You enter the house through an understated entry that then opens into an amazing clerestory greatroom that features a floor-to-ceiling stone and copper fireplace. 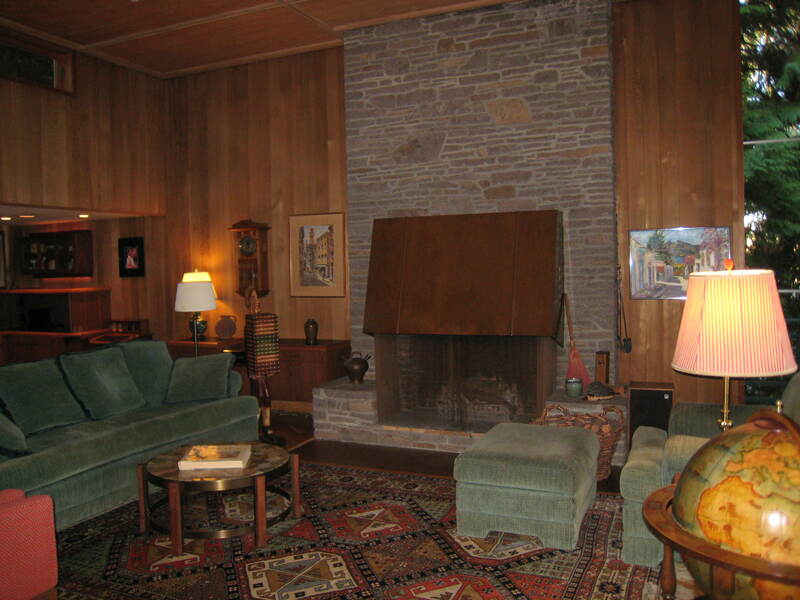 The greatroom includes the main living area, the dining room, a den, and a library. All are paneled is rich wood. There is a wall of windows that looks out to the Willamette River. 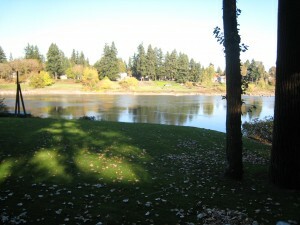 The house is situated on a private .68 acre lot that has river frontage on the Willamette. There is a level grass area near the water for recreation. 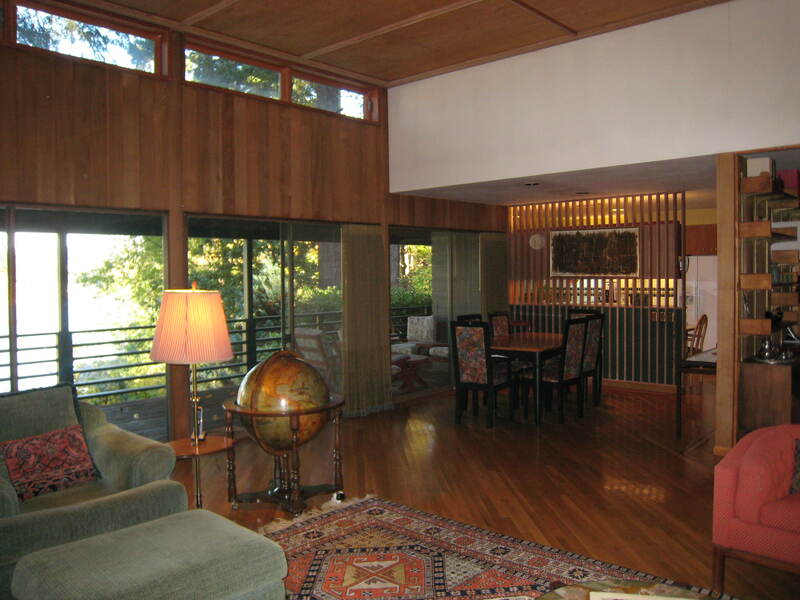 The house itself sits up off of the river and has river views from most major rooms. I will be holding this house open this Sunday from Noon to 2pm. Please follow the signs from River Road.